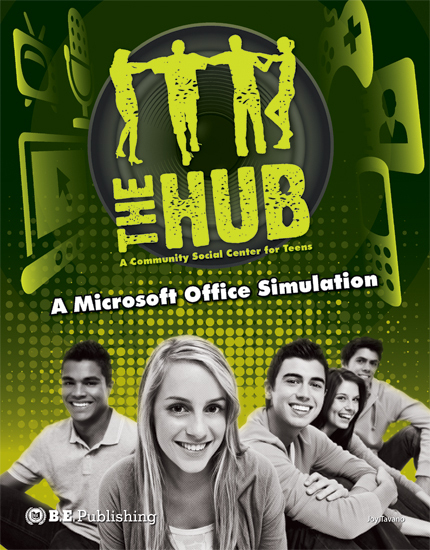 Students become the MS Office Specialist for The Hub, a teen community social center. 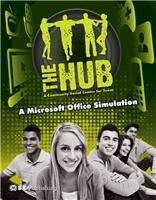 In The Hub, students use their computer applications skills to manage a teen community social center. As they complete a series of self-guided projects designed to reflect the real-world of business operations, students produce business and financial documents, organize data, and create and design marketing documents, databases, and promotional presentations. Engaging topics include a battle of the bands database, party planner checklist, and more. The Hub is perfect to use with any version of Microsoft Office, Google Apps, or equivalent applications. As MS Office Specialists, students will complete a series of real-world projects that The Hub requests for the operation of its business. Using their MS Office software skills, students will complete business and financial documents, organize data, and create and design marketing documents, databases, and promotional presentations. The Online Instructor and Student Resources for The Hub are required and include Project Answer Keys and Logos. These logos are intended to help student work appear professional and polished. Many projects require students to insert The Hub logo to create professionally-styled documents.